Lots of awesome new pieces this week! Leather seating options, gorgeous fine art and an outstanding live edge dining table round out our new furniture arrivals! Browse below, then stop by Tuesday-Saturday, 10AM-6PM at 2237 NW Raleigh St, give us a call at 503.222.6122 or email us at home@seamstofit.com with any questions. Remember Seams to Fit Home lovers; we cannot feature all of our items here, but we do feature additional gems on our Instagram and Facebook pages. Make sure you follow us, so you are up to date with other fabulous items: http://instagram.com/seamstofithome or https://www.facebook.com/seamstofithome. Known for sophisticated modern designs with European craftsmanship, DellaRobbia always delivers when it comes to style and comfort. This graphite leather two-cushion sofa is no exception with down-wrapped cushions, a low-profile silhouette and thin track arms. Measuring 90″W x 36″D x 30″H, we have it priced at $5000. At its foot sits an antique wood trunk with metal finishings and iron hardware, a perfect option for a unique cocktail table. Priced at $595, it measures 50″W x 27″D x 21.5″H (SOLD). Original Jean Girigori mixed-media painting “The Village,” $4000-SOLD. One of the most well-known modern chair designs, the Wassily by Marc Breuer continues to intrigue contemporary interior design. 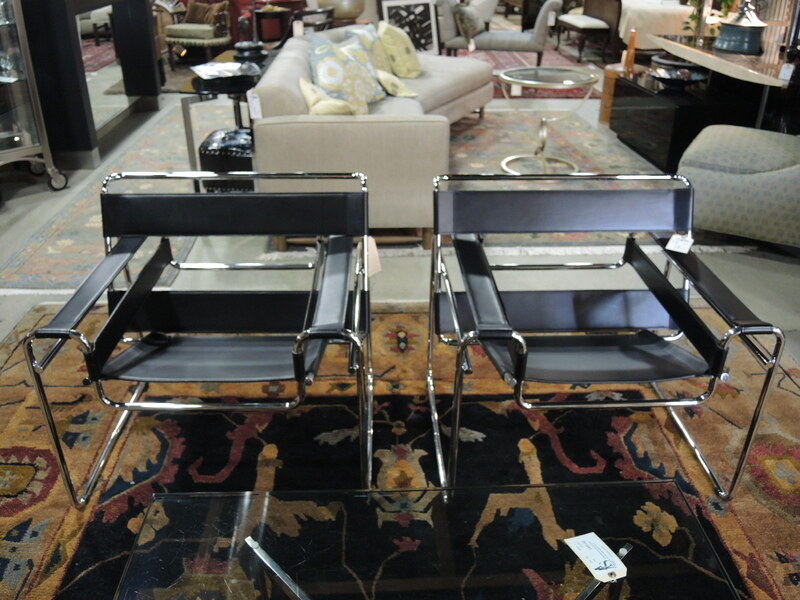 We have received two beautiful reproductions of the style from Room and Board. We have one priced at $595, and another priced at $495 due to minor scratches (SOLD). One of our favorite things about interior design in the Pacific Northwest is our recognition and appreciation for natural wood, and the beauty that can be found without any embellishments. 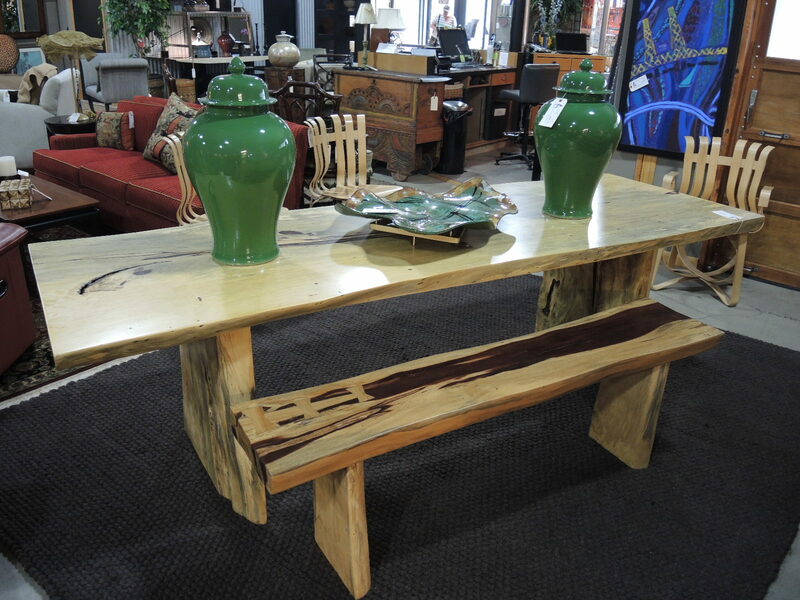 Here we have a perfect example of this style: a custom made, tamarind-wood, live-edge table with matching bench. 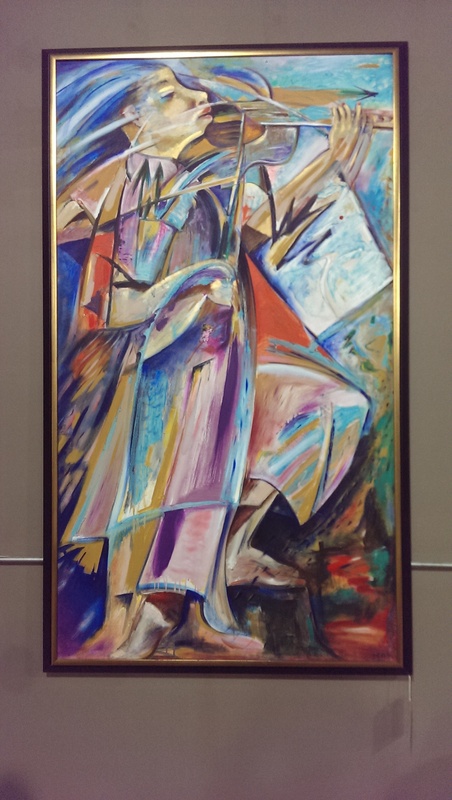 Dimensions are 8’4″L x 34″D x 30″H, and we have the set priced at $3000–SOLD. 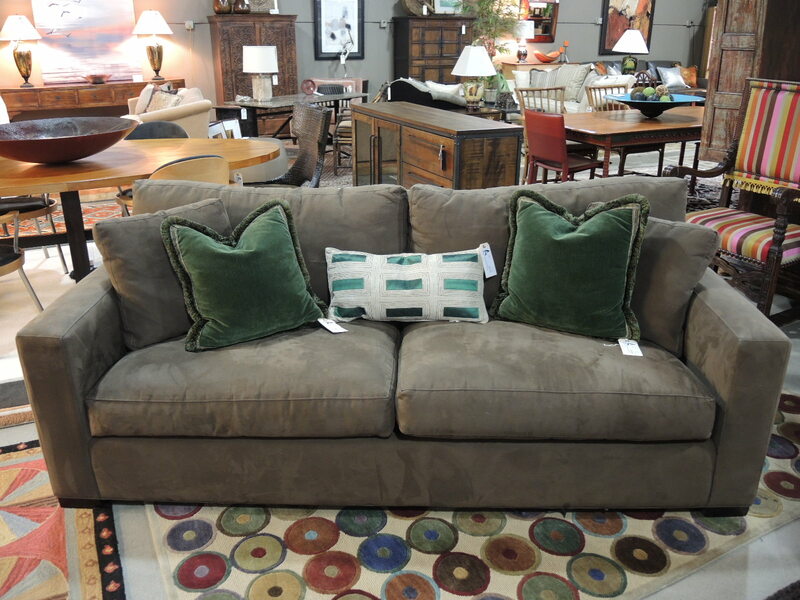 A simple, versatile and comfortable sofa option from Crate and Barrel features down-wrapped cushions and mushroom ultrasuede upholstery. 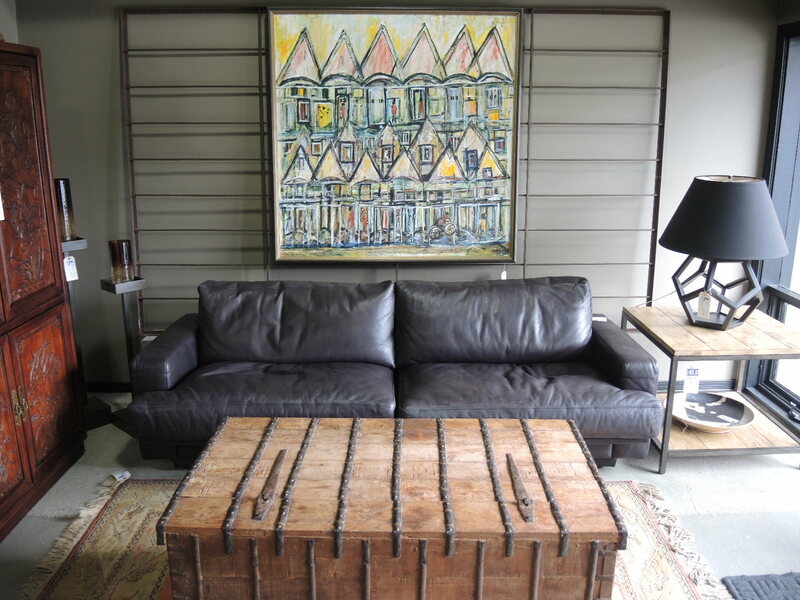 It measures 88″W x 41″D x 31″H, and we have it priced at $695–SOLD. 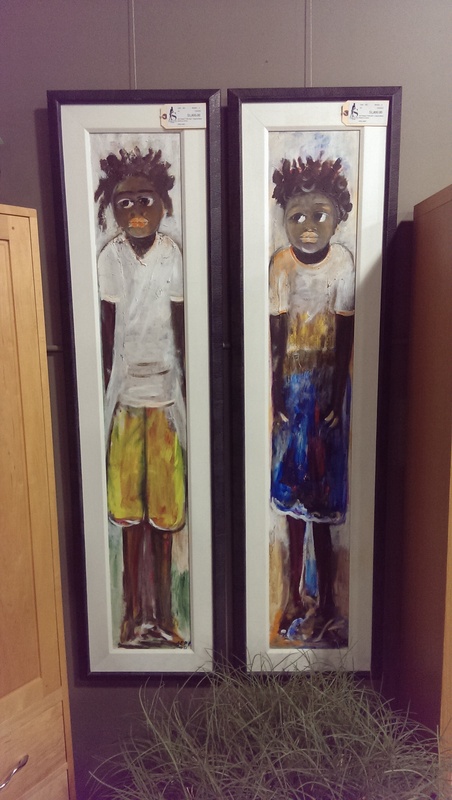 We’ve received a number of original art pieces by Jean Grigori, a contemporary Caribbean painter. Her pieces depict the struggles and pain that Haitian citizens face and have faced for many years. Her paintings allow her a canvas on which to express her heart. Her life is her art and her art is her life. The pleasures and suffering of the Caribbean creates in Jean a restless agony of which she is afraid and which she expresses through her paintings and bronze sculptures. knowing that there is no easy solution, no easy alternatives she continues to cry out in outbursts of forceful images of human beings or contained lucidity.